Some of our guided excursions involve an overnight stay. For those traveling through the area, and maybe just fishing the day with us, we recommend these local places that will make your stay in our area more enjoyable. Some are near the areas we will fish. Also, please feel free to contact us if we can help you in setting up lodging. This lovely, renovated farmhouse is conveniently located off Grover Cockerum Rd on a beautiful piece of property that lies right on the banks of the Delayed Harvest section of the Mitchell River, a section of great dry fly water right in front of the house!!! The house is complete with all amenities including fireplace, a nice lounging/sitting area, a great front porch to relax on, a nice kitchen, and comfortable rooms. For reservations or more info you can call 214-457-7711, or 336 366-0764, by email, or visit Mitchell River House online here . Conveniently located on Alleghany Spur Rd. just off John P. Frank Parkway, the gateway to Stone Mountain State Park. Choose from 2 cabins nestled amongst some of the most beautful surroundings in the High Country. For more info call (704) 855-4709. Owned and operated by Mark Patton. Beauty and hospitality on the North Fork of the New River. Great for stays near Helton Cr. Great smallmouth water within sight of the front steps! Innkeeper Gayle Winston. River House boasts not only the Inn and Restaurant but also several wonderful cabins of various sizes that are great for groups of all sizes. Great stretch of water right in front of the Inn, and also has some large stocked rainbows for guests who want to do some fishing. For more info check Riverhouse online here . The two Elk Creek Hideaway cabins are located at the overlook of two trout streams merging together, which is rare. 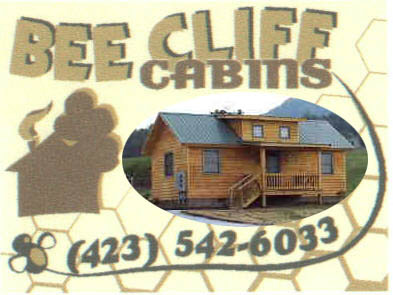 These cabins can be rented together as a three bedroom, or just one cabin as a one bedroom. Unit #1 – The primary cabin (Unit #1) has a bedroom, full bath, full kitchen, living area, gas fireplace. 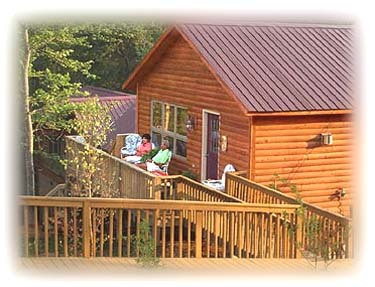 Unit #2 – The secondary cabin (Unit #2) has two bedrooms and a full bath. Unit #2 is only rented as an additional bedroom when renting Unit #1 On same property as Whisper Pines. When rented together, will sleep up to 16 people. Great for families, groups or organizations. 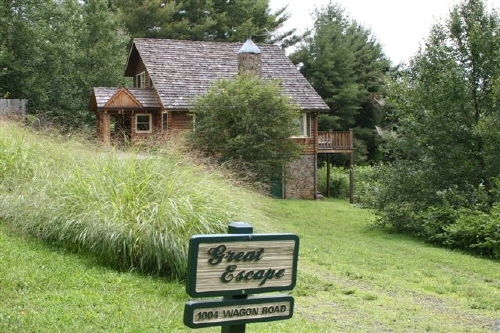 Elk Creek Hideaway is one of several properties in the area offered for rental by Jackie Bangos. Trout Retreat, Creekside, Elk Creek Hideaway, Whisper Pines, Riverrock Mountain Chalet, Creektime Cabin, and Brooks Bend Farm. For more information about these wonderful cabins, contact Jackie Bangos at 321-536-0141, or jbangos@bellsouth.net, or you can visit their website online here . As many of you know we are intimately familiar with the area and know practically every inch of Elk Creek drainage and have fished /guided here for 25yrs. And I must say these are some of the finest rental properties you will find in the area. High Mountain Cabins. Beautiful and rustic and right on Helton Creek. Conveniently located near all waters on Helton, North Fork of the New, Big Horse Creek, and a short jaunt from the Mt Rogers and Whitetop area of Virginia. We have stayed with these folks and not only a great location right on the water but also great service. Great access to water right in front of the cabins, and also less than a mile to some of the best water on renowned Helton Creek. Grayson Highlands Park (VA) is 15 minutes away as well as some great native brook trout water. Cabin Creek, a great brookie stream, is 5 minutes from the cabins. For more information please Click here . Tucked away at the foot of the Blue Ridge Mountains you will find a secluded glen of historic cabins surrounding a natural spring discovered in 1884 and originally called Thompson’s Bromine and Arsenic Springs. 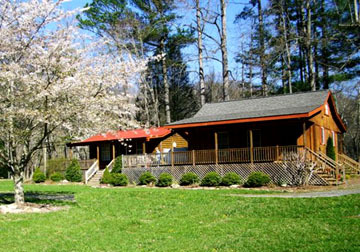 The property was then known as Healing Springs Resort in later years, and is now simply called The Cabins at Healing Springs. Most of the cabins available for your use are the original cabins that were built at the peak of the ….Read more . Great location near the North and South Forks of the New, Helton, Big Horse, Piney Creek, Buffalo Creek, and the VA New River, Grayson Highlands, etc. For more info call 336-982-6262 or visit the website here . 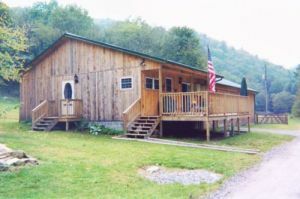 Be one of the first to stay in this Spruce Pine NC Cabin Rental that brings all the best of the High Country to your doorstep! Big Bear Cabin is a luxurious High Country cabin with mountain log construction and mountain views. Nestled in the heart of the Pisgah National Forest, this beautiful Spruce Pine NC mountain view log cabin is located within ten minutes of Linville Falls and historic downtown Spruce Pine NC. For more info call 1-828-765-2888 or inquire by email . HIGH COUNTRY VIEWS Timber framed cabin located near Helton Creek, Big Horse, Big Laurel and Buffalo Creek, with Great fishing and spectacular views of Ashe County, NC. Reservations or to learn more call (336) 643-7706, send an email , Owned/operated by Carole Hunter. The Nuthouse cottage is a 1,600 sq. 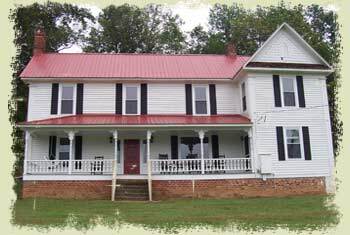 ft. cottage located on a 45-acre farm in the Grassy Creek area of Ashe County. It is about 30 minutes west-northwest of Sparta, NC and 30 minutes north of Jefferson, NC. 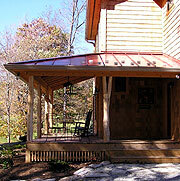 The location is quiet and private with lots of amenities and activities -hiking, sightseeing, fly fishing, canoeing, etc. nearby. 151 Young Road , Grassy Creek, NC 28631 (336) 384-4963. For more info email here or visit online here . Lift your cares away by the babbling sounds of Helton Creek, a bold 33′ native trout stream a few steps from your door. Whether reading a book, playing in Helton Creek, grilling on the deck, casting for rainbow trout or entertaining an abundant variety of wildlife guests, you’re sure to find peace and tranquility during your stay at Chasing Rainbows. John & Libby , 267 Sturgills Road Mouth of Wilson, VA 24363 800-210-8329 Access #24 (276) 388-3540. Tucked away in the Blue Ridge Mountains of Virginia, just an hour north of Winston-Salem and Greensboro, you’ll find six private and beautifully appointed authentic log cabins, (3 Lofts & 3 Bungalows) each with gas fireplaces, full kitchens, outdoor grills and picnic tables…And oh yes! Enjoy a full gourmet breakfast, delivered each morning to your cabin! 485 Fishers Peak Road, Galax, VA 24333 (276) 236-1212 . Visit the website here . Enjoy the sights and sounds of the New River from this well-appointed log cabin. Come for a long visit or a short getaway to rest, relax and enjoy the birds and wildlife of the mountains of North Carolina. The cabin accommodates up to seven, featuring two bedrooms, a loft, a bath, kitchen and living room. The kitchen is completely furnished. We provide bedroom linens, bathroom towels and toiletries. Color cable TV. Fishing, swimming, canoeing or tubing are just a few of the outdoor sports you can enjoy along the New River, one of the American Heritage Rivers. Keith Lindstrom, email for details here , or call 704-506-0050. The Inn sits high on a hill overlooking the New River, the Town of Fries and the New River Trail. Built in the early 20th century when Fries was becoming a booming mill town, this beautifully renovated and uniquely situated house now graciously serves as a home away from home for guests and visitors. Please call for prices and availability (866) 944-3640 Toll Free (276) 744-3640, 364 Grayson Street Fries, VA 24330 . Email here . Dutchies View, a Virginia Bed & Breakfast, is located on a grassy knob enabling an unsurpassed panoramic view of the Blue Ridge Mountains, Lovers Leap and Bull Mountain in lovely Woolwine, VA. Sunrise and sunset can be enjoyed to the fullest extent from your luxurious bedrooms oversized windows or from a spacious deck outside. Conveniently located near Rock Castle Gorge and within easy distance of the renowned Smith River Tailwater. For info or reservations call (276) 388-3218.
located on the Watauga River in Elizabethton, TN, with rising fish right out the front door. Minutes from some other great water also, including South Holston and Watauga Lakes, Roan Mtn State Park and wonderful wilderness stream Laurel Fork. Great for lodging for South Holston and Watauga trips. Owned and operated by John and Norine Allen. For more info call (423) 542-6033, or click here. 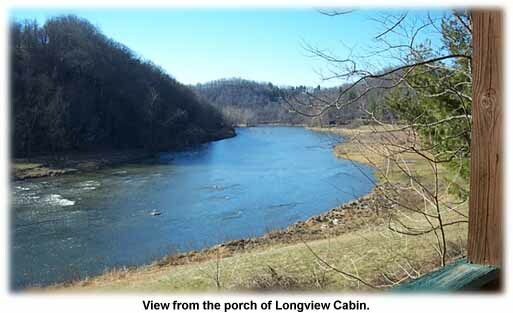 Located right on the banks of the South Holston River, and on a great stretch of water. Three Castaways are available for rental. Owned and operated by James Cornett. For reservations please call (423) 538-4645, or email . A premium location for lodging on the South Holston River, also conveniently located to the Watauga River tailwater as well. For more information on the Holston Castaways be sure to visit Jame’s great website here . located on the banks of the Watauga River right above the famed trophy section of the Watauga River. A convenient location to both the South Holston and Watauga Rivers, both lakes, Roan Mountain State Park, Laurel Fork, to name a few- – -but what a great few those are! For more info visit the website here , or call (423) 543-8603.
conveniently located below the Webb bridge on a very nice stretch of the river. The famed South Holston tailwater is right at your front door step less than 200 feet away. Contact Sheila Patrick (423) 538-4514 or Helen Greene (423) 845-2307. 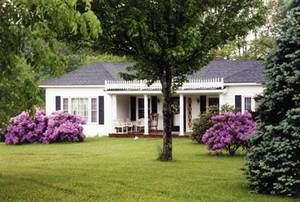 Located in Townsend, TN and is ideally located near great fishing in the Great Smoky Mtns National Park, on the banks of the Little River—which has not only some good trout water but smallmouth as well. 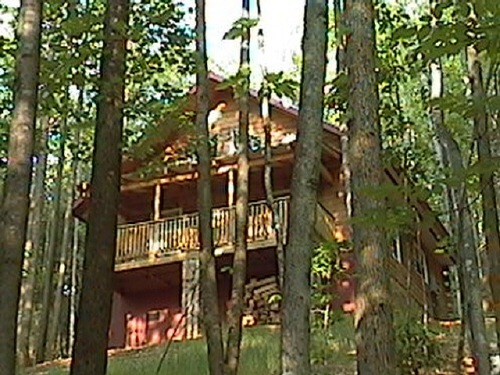 Located right on the river….Info (865) 448-2234 or click here . Have a place in the Mountains available for rent? Contact me here and we can list your place here as well.